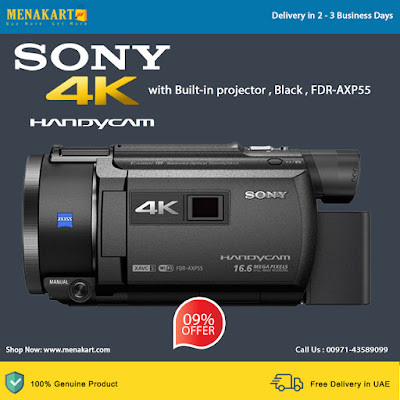 Delivery in 3 - 5 Business DaysBring memories to greater life with the 4K camcorder. Record spectacular 4K Ultra HD detail. Minimise image shake with Balanced Optical SteadyShot . Autofocus with extra-precise Fast Intelligent AF. Capture a range of stunning results using a 4K-compatible optical 20x zoom ZEISS Vario-Sonnar T* lens with 26.8mm widest angle. The performance packed into the top-class 4K Handycam is peerless. Balanced Optical SteadyShot and Fast Intelligent AF achieve exactly the images you aim for. A new microphone structure captures ambience that’s all-surrounding. You can even play with time in motion or gain control of pro-style/manual functions. The possibilities and pleasures are endless. Record a movie at a high frame rate such as 100fps4 in Full HD. Slow motion movie will reveal startling image quality in every instance of action.